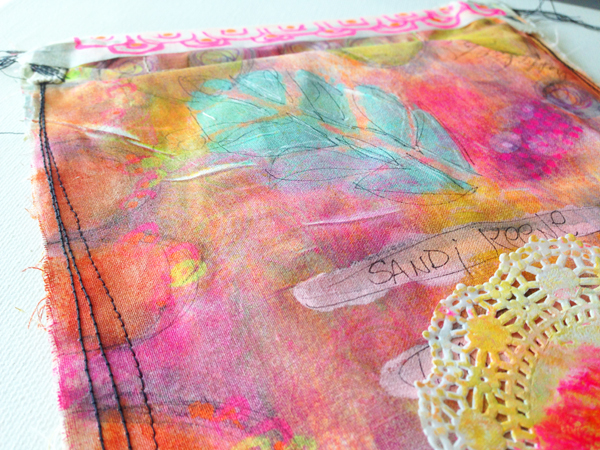 Printmaker Pro: Press, Stitch & Stash! 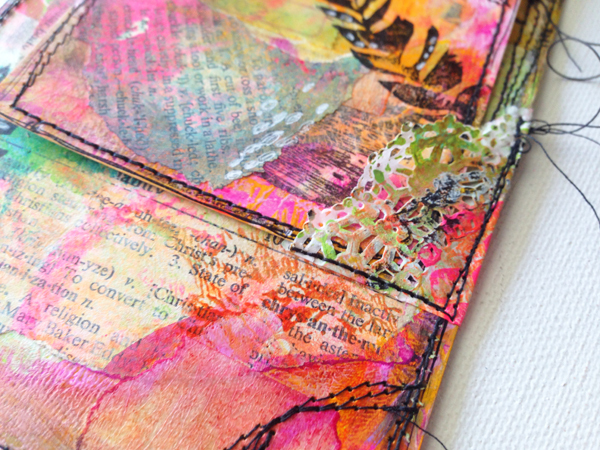 - Grab your Gelli plate and join Roben-Marie for a class of instruction, inspiration and playful experimentation. 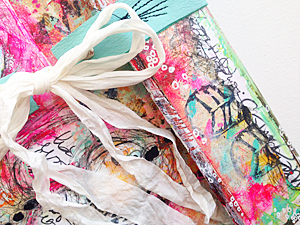 Prepare to get messy as you become a Printmaker Pro. 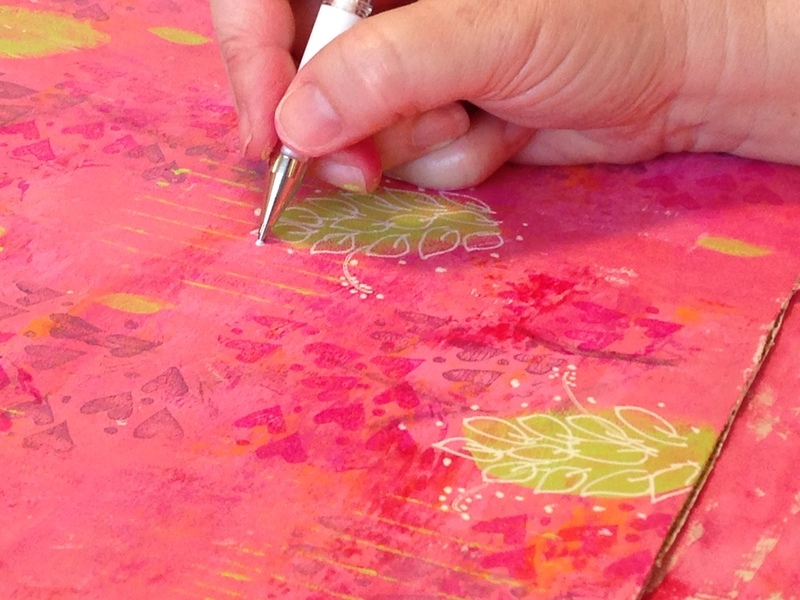 Beginning with tips and techniques, we will PRESS our way to an amazing collection of layered backgrounds. 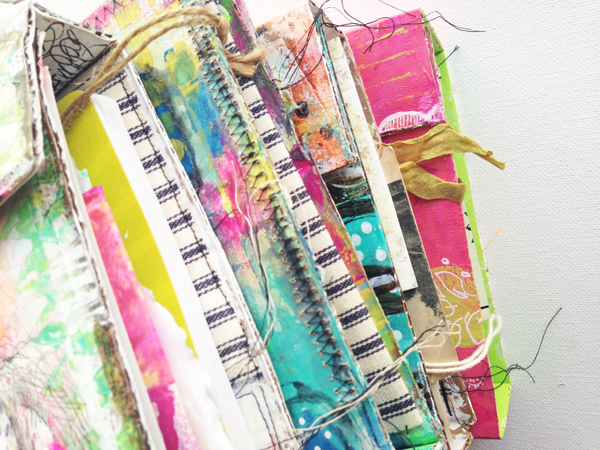 We will STITCH two interactive minis and a portfolio where you can STASH your treasures! 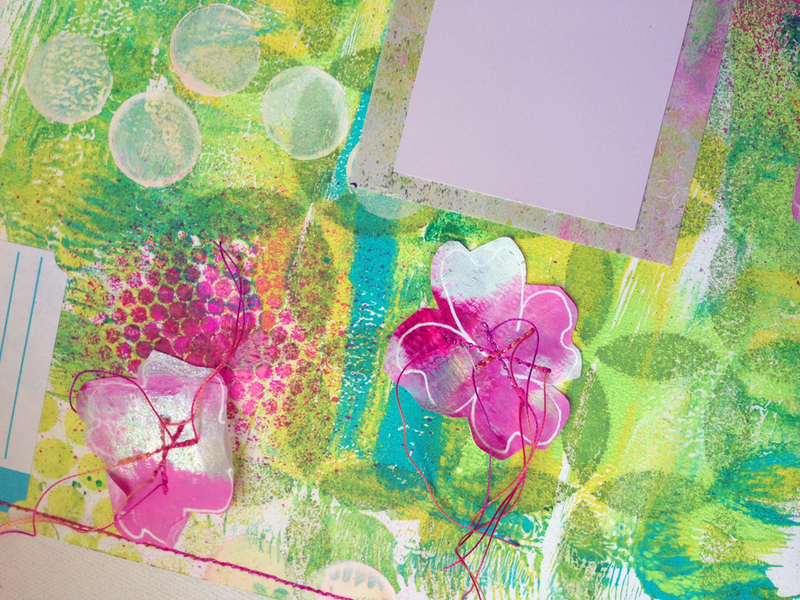 Spend some time with Roben-Marie and learn to PRINT like a PRO! 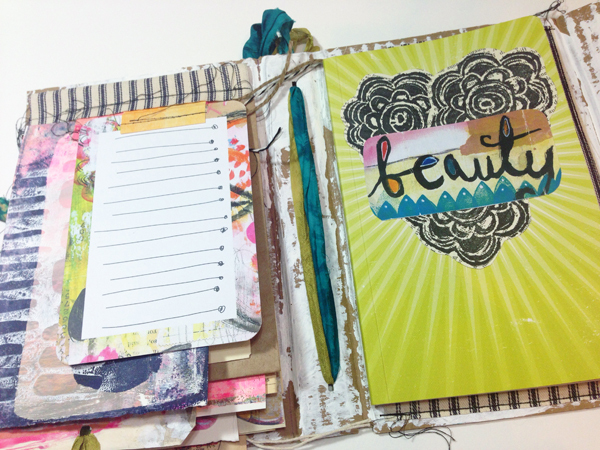 NOTE: She will be teaching this class live at Whim So Doodle in St. Petersburg, FL on April 18. 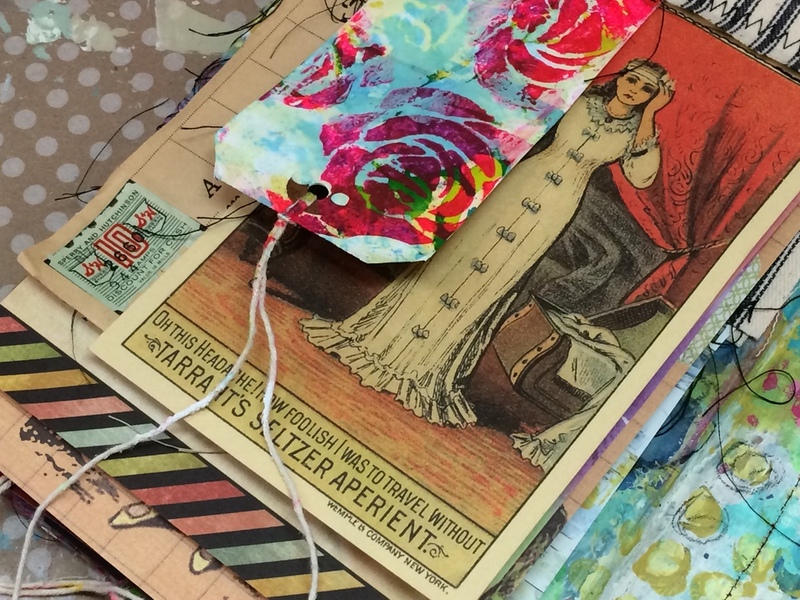 Join her for an art-filled day of fun, inspiration, laughter, a kit filled with goodies from her stash and art line and there is sure to be chocolate in there somewhere! Take me to the Purchase Page! Everyone likes a good sale so for a limited time, the workshop is $45 (regular price is $50). Sale good through Sunday, March 22 at 3:00PM EST. See more workshop photos and details on her blog HERE! Cardboard Crush - A New Workshop! READY FOR A PROJECT YOU CAN "CRUSH" ON?! Straight from our personal retreat, we are bringing you Cardboard Crush, the project we loved so much we had to share! 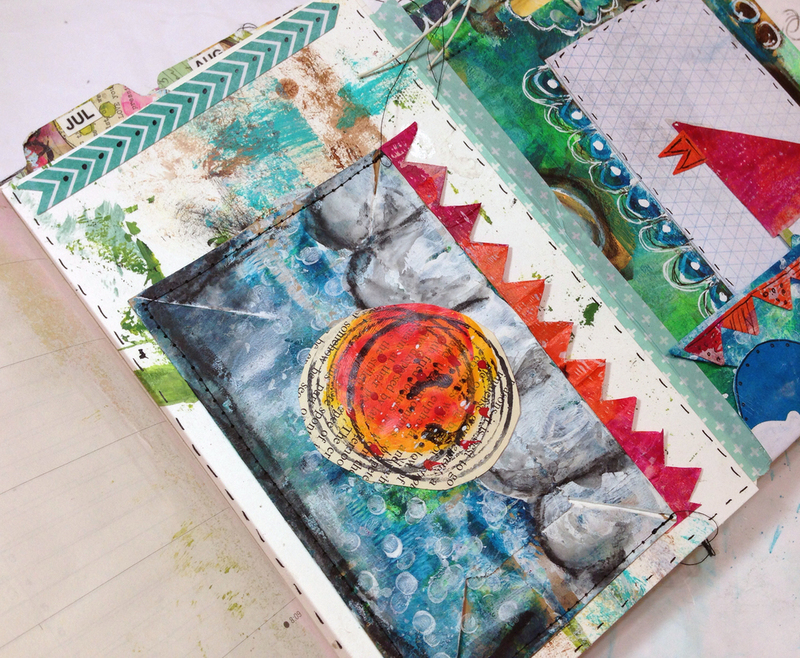 This thick and abundant journal is jammed with color, design and stitching. 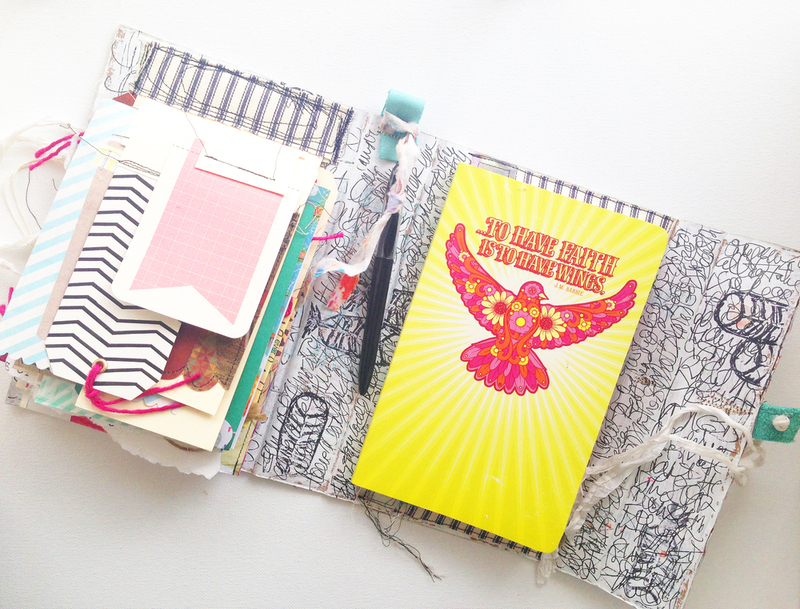 The perfect place to stash your treasures, love notes, inspirations, photos or mail art. 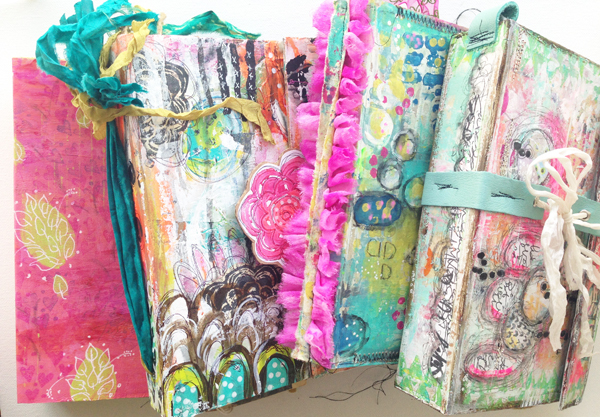 We provide 4 entirely different takes on the body of the journal so you are sure to find just the right one to “crush” on. With 16 videos, we will take you step by step through the process with tips and favorite tools. The interior can be completed using our instructions or completely customized to meet your needs. Whatever you heart desires - It is CARDBOARD CRUSH! Fine Print: Videos are not downloadable, no instructional PDF’s provided, once you have purchased the videos there will be no refunds. One student per purchase. No splitting/sharing classes. See HERE for more Q&A regarding our workshops. Price: $35 - Workshop is now open! •Open Registration - Take the workshop anytime! There is no close date! •This class is self-paced, so join in when you want and finish on your schedule! •A private site has been set up for all class attendees. FREE registration with the site is required in order to attend workshop. •NOTE: Once payment has been made directions will be e-mailed to you with directions for access. Please allow from 24-36 hours for information to be sent. •Videos are not available for download. •The tuition is non-refundable once access has been given to registrants. I am excited to announce that I will be teaching with Life Book 2015, a celebration and honoring of YOU! 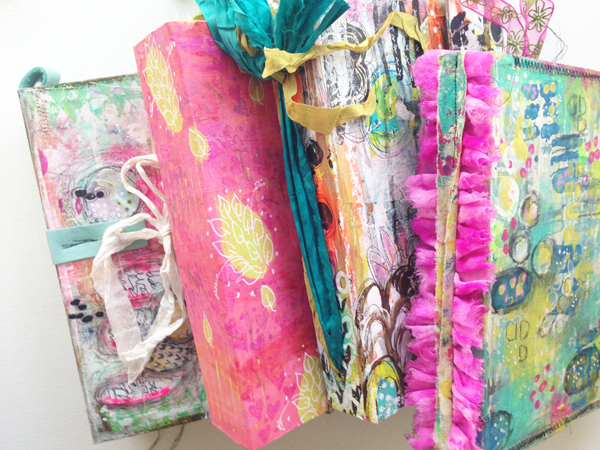 This year-long mixed media art class features lots of inspiration from 26 incredible artists! 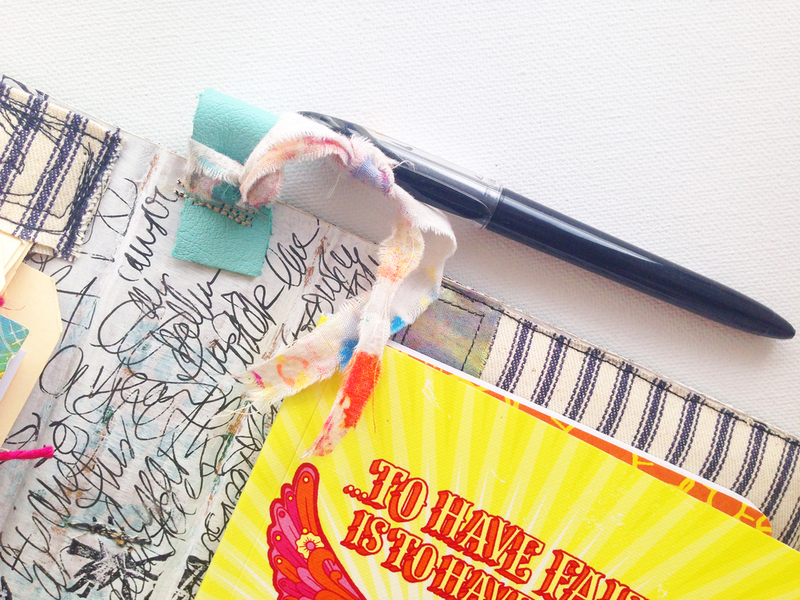 Today kicks off a month long blog hop so don't miss all the fun!! Paint, doodle and stamp “art with an address”. 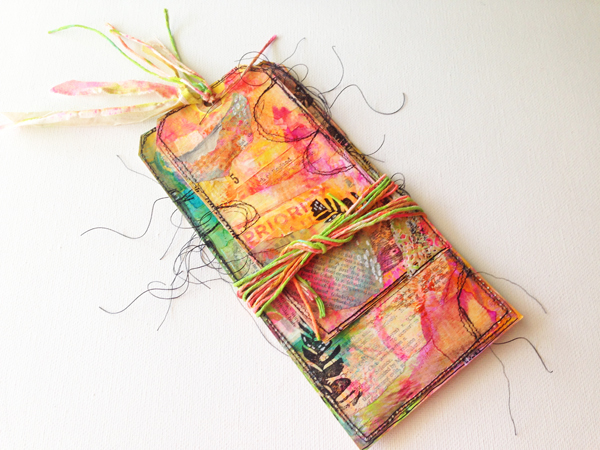 Enjoy this creative New Twist on a Mail Art class with your instructors: Rae Missigman, Roben-Marie Smith, Lorraine Bell and Sandi Keene. 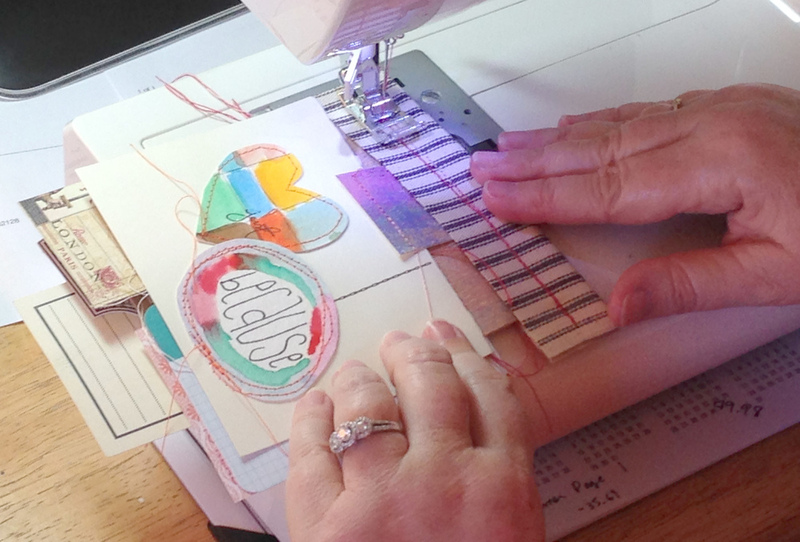 We will each demonstrate our step by step process for creating layered, detailed designs in our signature styles. 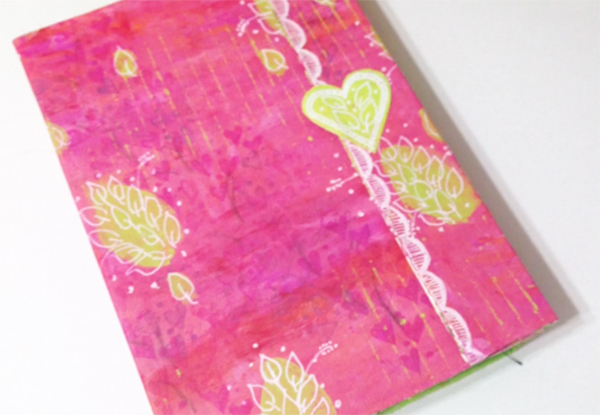 Watch as we trade pieces via mail to reveal the process of using mail art to construct elements for your planner or art journal. This is TWO classes in ONE with 17 videos, over 6 hours of instruction, technique and inspiration from 4 distinct points of view. 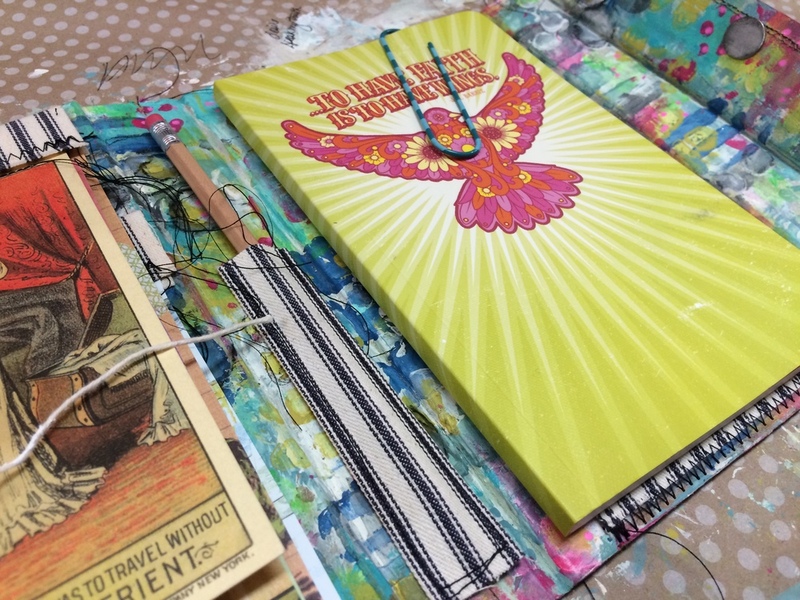 Let us inspire you with ways to create a mailbox treasure sure to delight your recipient PLUS how to turn the mail art you receive into meaningful additions to your favorite project. You supply the postage, we will cover the fun! Join us as we Create It • Mail It • Alter It! Congratulations! Your tuition has been refunded via Paypal! !